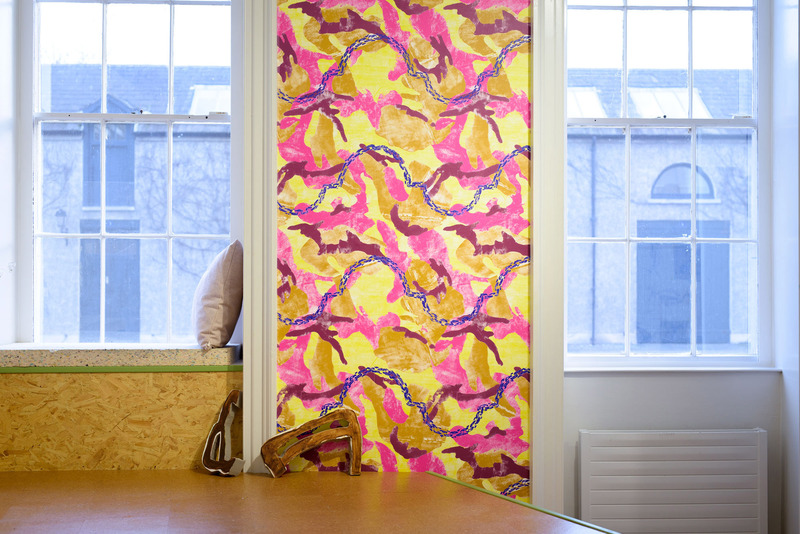 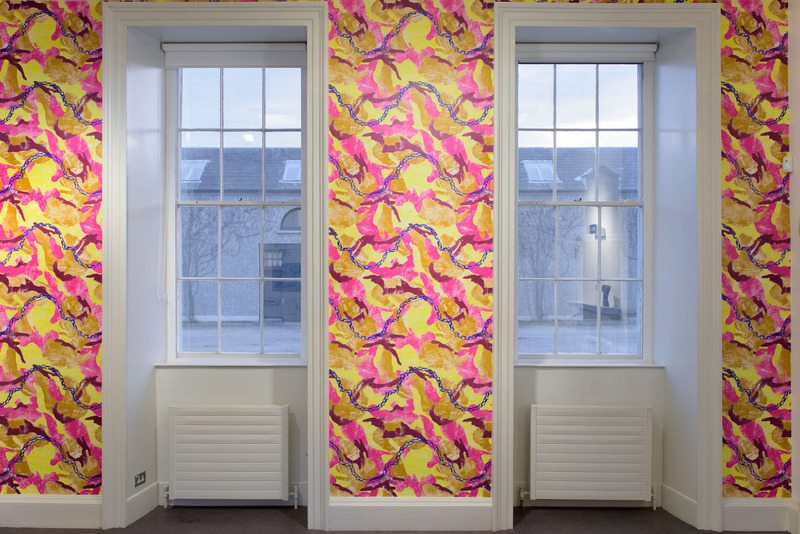 noon features a newly commissioned wallpaper by Edward Clydesdale Thomson in response to a sample of original RHK flocked wallpaper which is on view in The Old Man’s House, in the West Ground Gallery and which would have once decorated the walls around this building. 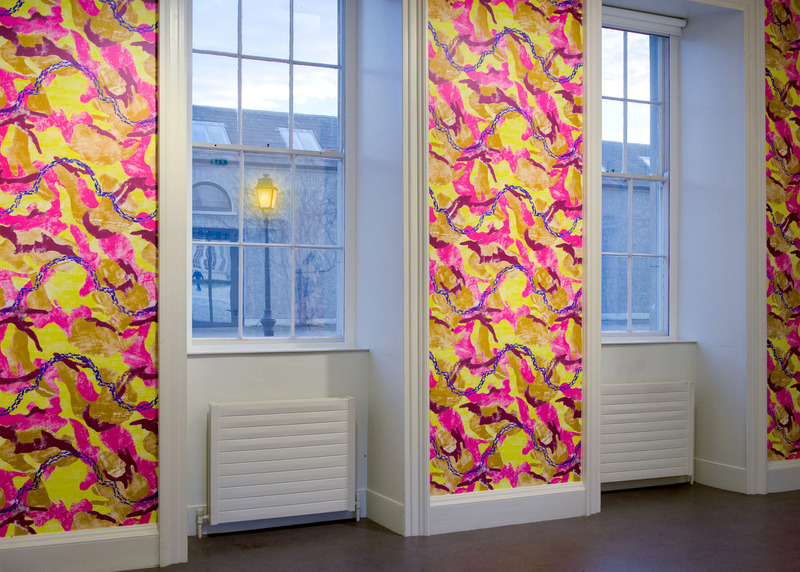 Inspired by the military history of Kilmainham Thomson has referenced the timeline of IMMA’s establishment in the early '90s when fashion trends of camouflage were popular, as were brightly coloured floral patterns. 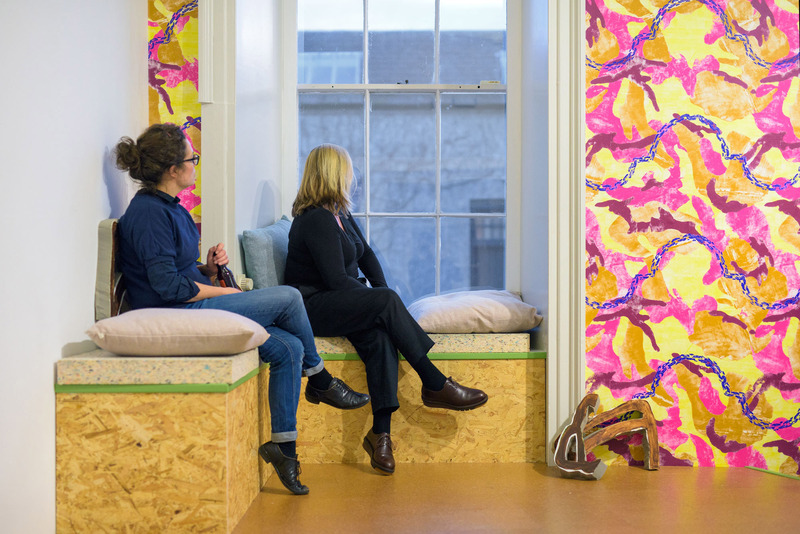 Expanding the remit of the Project Spaces the wallpaper will also find a permanent home in one of the three onsite residency apartments where it has been permanently installed in the entrance to the living quarters.